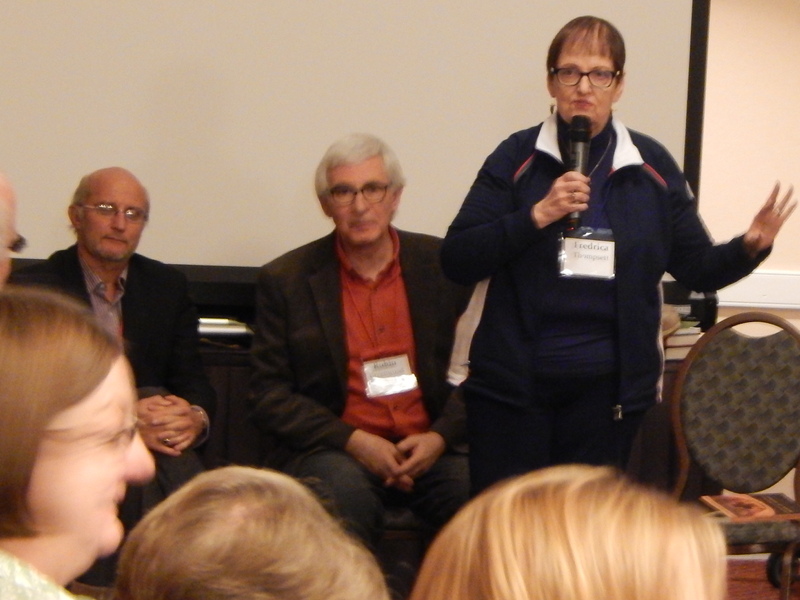 Follow along here for updates from the symposium taking place February 2nd – 6th, 2015 in San Antonio, Texas. As many of us head home from The International Symposium on Ministry Development in San Antonio, we are reflecting on what a true privilege it was to be gathered as a group. Thank you to all participants for making this such a special experience! Stay tuned for more reflections, photos and resources coming out of this symposium in the coming days and weeks. Collaborative ministry is I suppose thinking that the third millennium of the church needs to look more like the first millennium than the second ..so my slogan is stop coming to church, and become the church.” An interview with the Rev. Robin Greenwood during the 2015 International Ministry Symposium. 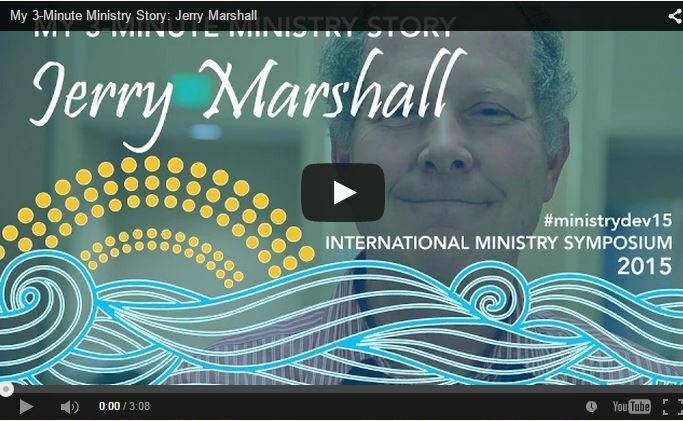 “Whatever it is that God has given you a passion for, then gather other people around you with that same passion, and form what we call a missional group.” Jerry Marshall of the International Rural Church Association shares his story of collaborative ministry during the 2015 International Ministry Symposium. 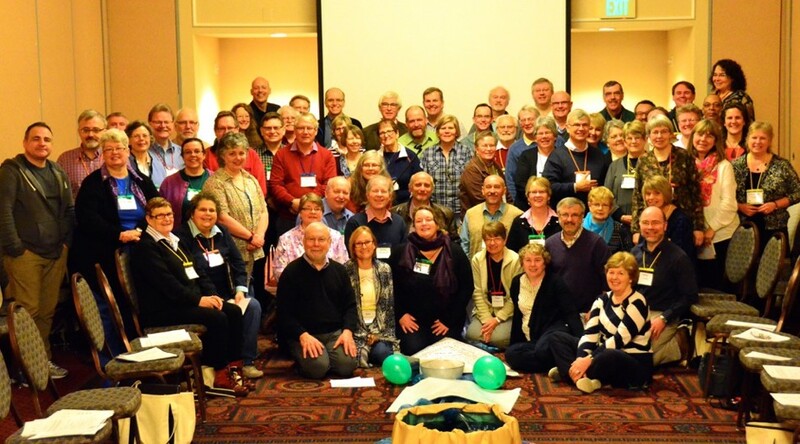 What if a community of people could come together with the sole purpose of talking about issues of life and death, of faith and doubt?” Carol Bell took a break from the 2015 International Ministry Symposium to tell us about collaborative ministry happening in the Upper Peninsula of Michigan. Liz Magill, program coordinator of Faith-Based Leadership at Episcopal Divinity School (EDS), is attending the Symposium this week. ” believe in Church. Not just that it exists, but that it is a tool for God to use to change our world. I believe that Church will survive the present decline in our numbers, that Church will survive in new and exciting ways. The Church that survives, I believe, will be collaborative, counter-cultural, and creative. “They were brought back into community, they were brought back to being people of note and worth.” An incredibly moving story from Archdeacon Prue O’Donovan about the “Allsorts Ministry” she helped develop. Liz Magill, program coordinator of Faith-Based Leadership at Episcopal Divinity School (EDS), is attending the Symposium this week. 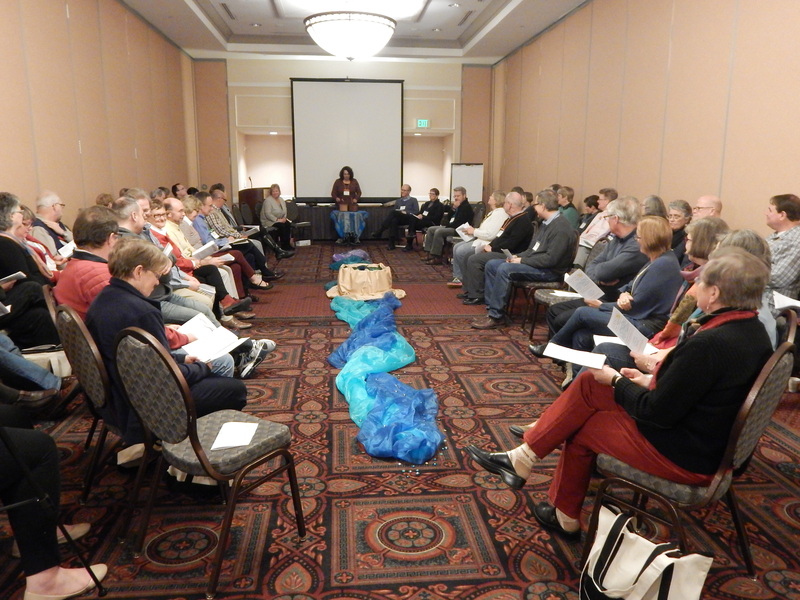 “At the International Symposium on Ministry Development we gathered for Bible study, looking at John’s story of Jesus’ meeting with the woman at the well. (John 4:1-42). Our assignment was to figure out God’s mission in the world. “Baptism is about dying and rising in Christ, and collaborative ministry is a ministry which is always walking the way of humility and learning to die multiple deaths …” We sat down with the Rt. Rev. Stephen Pickard of Australia during the 2015 International Ministry Symposium to chat about collaborative ministry and baptismal mission. “Now we are trying to find ways to take that collaborative model and open it up so that it empowers its members and the church as a whole in its mission in the world.” We sat down with the Rt. Rev. Don Phillips to talk about collaborative ministry and the Symposium – both in 1999 and today. “This little seed of an idea, which was to develop a service that speaks to inner-city youth became this almost overwhelming ministry … ” Michelle Meech, Ministry Developer for the Episcopal Diocese of Michigan, shares her 4-Minute Ministry story. “I am the first woman to …” So many women pioneers from around the world are present here at #MinistryDev15 It is truly inspiring to be among them, and we thank them for their hard work in breaking barriers. Thanks to Katie Forsyth for creating this wonderful video! Liz Magill, program coordinator of Faith-Based Leadership at Episcopal Divinity School (EDS), is attending the Symposium this week. “I’m a fan of change. I like to imagine it, grapple with it, begin it, evaluate it, revel in it. I prefer to bring others along, to carry out change collaboratively.